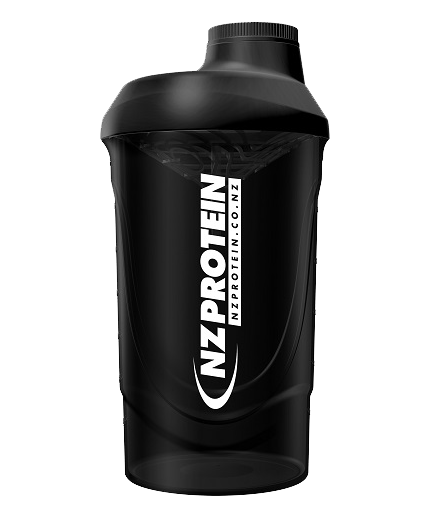 We're pretty sure that we have the best protein shakers in New Zealand. Made all the way in Europe, they're built tough and resist wear so they stay looking new even after continued use. But the best part? They don't leak. You can feel safe putting them in your car or your gym bag knowing that they're not going to ruin all your stuff. 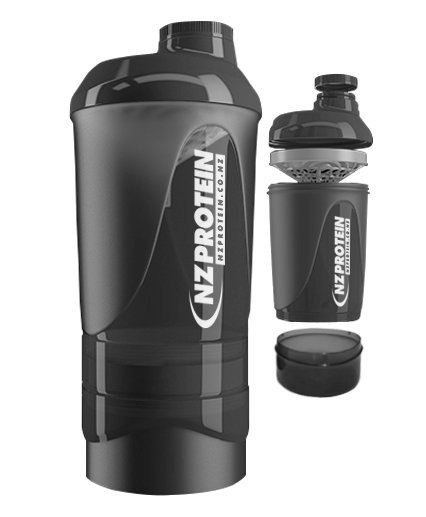 Wave protein shaker bottles feature a softer plastic in the cap and lid. The result is a perfect fit between the screw cap, lid, and bottle. This unique manufacture method completely prevents them from leaking. An arched screen gives a larger surface area, and allows a higher rate of flow of liquid across it. 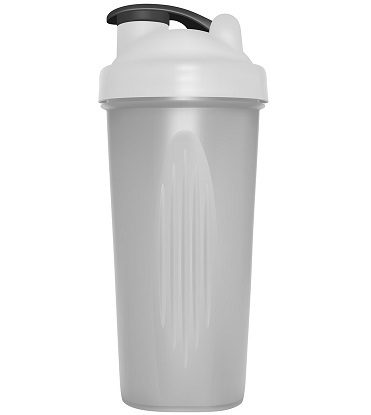 This means that our wave shakers blend more effectively without even needing mixing balls. 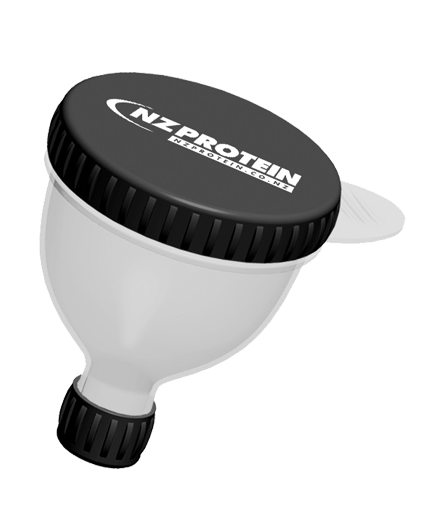 Wave protein shaker bottles feature caps that aren't connected to the lids. Because there aren't any additional plastic pieces attached to the lid or cap, there's nothing to prevent nose or forehead disturbances while drinking. This makes our wave shakers more comfortable to drink from. Rated 4.58/5 Based on 12 customer reviews. 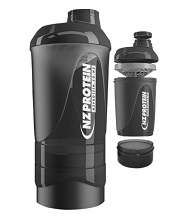 I have the old version of this shaker and it was awesome! 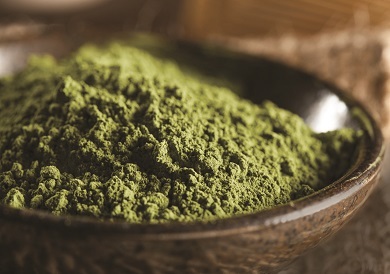 Good size and a curve at the base which stopped your powder from sticking to the bottom. This new one is too small and no longer has the curved base. The screw top is still nice though. Good shaker but rendered useless once the cap goes missing as it isn't attached like most shakers and is rather easy to lose. Awesome as. Easy to clean. We love the filter vs the metal ball (it always gets stuck in everything). Truly no leaks! Took a while to work out how to screw the top on properly but once sussed it works a charm. Easy cleaning is a bonus. really good shaker! leak proof, good size. overall really impressed. 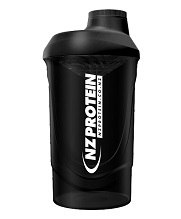 will definitely buy more from nz protein! 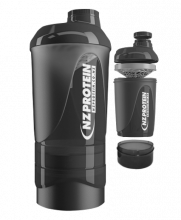 Best Shaker I've ever had! Works like a charm, no leaking. It's a shaker, and works great! Love these shakers, first ones that don't leak!